where Y(s)= £ (y(t)), F(s)= £ (f(t)), and K(s)= e (*(/)), which may be solved for y(t) by taking the inverse Laplace transform. 1. Abramowitz, Milton, and Irene A. Stegun, Handbook of Mathematical Functions. Washington, D.C., National Bureau of Standards, 1970. 2. Churchill, R. V., Operational Mathematics, Second Edition. New York: McGraw-Hill, Inc., 1958. 3. DiStefano, Joseph J., Ill, Allen R. Stubberud, and Ivan J. Williams, Feedback and Control Systems, Schaum's Outline Series. New York: McGraw Hill, Inc., 1967. 4. 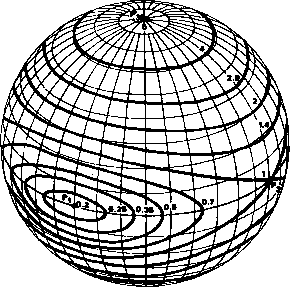 Erdelyi, A., et al., Tables of Integral Transforms. New York: McGraw Hill, Inc., 1954. 5. Korn, Granino A., and Theresa M. Kora, Mathematical Handbook for Scientists and Engineers. New York: McGraw Hill, Inc., 1968. 6. Spiegel, Murray R., Laplace Transform, Schaum's Outline Series. New York: Schaum Publishing Co., 1965.